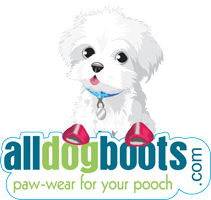 Cute sandals for big or small dogs! These sandals are perfect for summer, protecting your dog's paws from the hot pavement or irritating seasonal allergies while still letting the feet breathe. The beach or the park will now be a much easier experience knowing your dog is safely protected. The quality appears to be good, and they arrived in a timely manner. I am having to return them because they do not stay on my dog's paws, but I am not sure if that is an issue with the sandals or if I got the wrong size. I am returning the items because they are a bit large, but adorable. I am sure they will help my dog once I get the size corrected. Thank you so much for making an over the top fix to our sandal problem. We love the sneakers and Comet likes them! Got these for the 96 lb golden retriever. They looked perfect, he has allergies and sandals would be a great way to keep cool while off the hot pavement and the grass he is allergic to. Unfortunately, these sandals are not meant for a big dog. 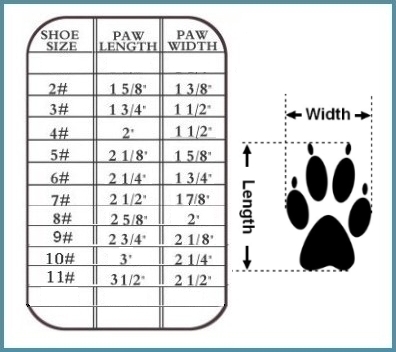 His paws fit the largest size measurements but the actual straps don't start until 1/4" on either side and the actual straps are not big enough to allow a dog's paw underneath them! There is no way his paw or any other truly big dog's paw would ever fit into this sandal.